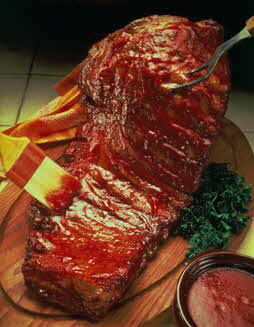 Cut each slab of ribs between ribs into four pieces. Place rib-side-down over indirect heat and grill for 1 1/4 hours. These classically flavored spareribs are good any time year. Serve ribs with corn on the cob, creamy cole slaw and corn muffins.